RUSH: This whole program today, folks, I’ve done my best to actually present things here in an order. Now, normally that’s not what happens here. What happens on this program is I do it as I feel it, and that can result in the program sometimes sounding like we’re hopscotching all over the place — one issue here, another issue there, then two minutes later back to the first issue — and you never know what’s coming next because I don’t know. But I’ve tried to stay in order here because all of this is leading somewhere. We have the news on the tariffs and the overwhelming success of the tariffs in terms of the political side of them. We have the economic news today that is just better than anybody expected it to be: 333,000 new jobs. The labor force participation rate is going in the right direction. More people are working. Wages are up. Some are getting bonuses. Taxes are down. Manufacturing jobs: 200-some-odd-thousand. It’s incredible! The unemployment rate in African-American communities is at practically the lowest it’s been since the 1970s. I mean, it’s just awesome, great news — in less than a year and a half. Eight years of Obama, they didn’t even try to make this stuff happen. They were telling us it couldn’t, that America’s best days were behind us because America’s best days were really phony. That we really weren’t that rich superpower. That we had come by all of that wealth in dubious ways, and it was time now to square our ledger. And it was time to realize that we’re not exceptional and we’re not special. We’re just one nation of many in the world and blah, blah, blah, blah, blah. The Obama administration taking one-sixth of the economy out of the economy, putting it under control of government and ruining it — health care — promising an infrastructure plan to fix roads and bridges? We didn’t do anything but recirculate money back to unions, and telling everybody that, “Well, this is the new reality, and you may not be right to expect to do better than your parents. We all gotta hunker down now! “We need to come together. We need to help each other. We need to nurture each other. We need to help each other through the tough times.” They even started making excuses for unemployment, calling it fun-employment. It was a great thing! “Reconnect with people, people and family, friends you haven’t seen in years, because now you have time.” So everything the Democrats and the left have been telling us for the last eight years that couldn’t happen ever again, have all happened and then some in a year and a half. America is being revived. America’s greatness is being revived. American exceptionalism is on parade. Donald Trump has told the climate change people to pound sand. He is working toward building a wall. He’s gonna make a deal on the DACA kids that is gonna hinge on a real strict number, very tiny number of legal immigrants being allowed to come into the country. He hasn’t changed. He hasn’t weakened. He hasn’t vacillated on immigration. He’s still chugging toward building the wall — and this is causing a major panic out there in the Democrat Party and the American left. I’m asking to you trust me that it’s happening, because the Drive-Bys are never gonna report it as such. But the evidence is everywhere! And the biggest, the most pronounced evidence is that Barack Hussein O and the lovely and gracious Michelle (My Belle) O now want back in. Obama has to be seething! You know, Obama’s ego is pretty big itself. 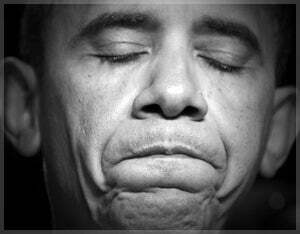 Obama’s self-image pretty damn high, and all this is happening, and Obama isn’t in it. All this is happening and Obama’s got nothing to say about it. All this is happening, and Obama’s fingerprints are nowhere to be found. All this goodness, all this improvement, all this revitalized consumer confidence. All of this is happening, and Barack Obama is on the sidelines looking in and nobody’s even seeing him. This is not what his post-presidency was gonna be. His post-presidency was gonna consist of people begging him to come back (sobbing) because of the mess Trump was making. “It was gonna be such a disaster, we we’re gonna hope that Obama would at least do something to help us heal and help us reconnect! 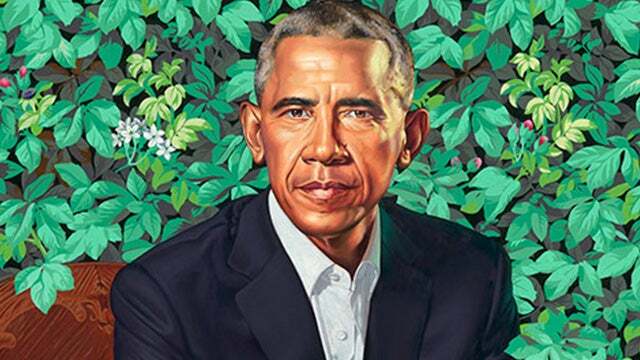 It’d be so bad.” Obama was expecting all kinds of attention from all kinds of people asking, imploring him to do something to help us — and instead, Obama is a forgotten guy, except to David Letterman and a couple of others in the Democrat Party. But on the grand scale, he is a forgotten guy. He’s not forgotten but on a grand scale, Trump is the news. Trump is driving news cycle. Trump is the biggest attention-getter in the world. Donald Trump is creating more interest and more curiosity than Barack Obama ever did, and it’s eating him alive. So Obama wants back in, and that is why I’m putting this last in all these things are happening, because this is what Trump is actually making happen. What what what what what? Global program? Global…? Global platform? Obama needs a global platform? How did Obama go from the global platform to not having it, and why can’t Obama just go to the U.N.? Oh. I remember! They told us that the U.N. isn’t big enough for Obama. Do you remember? 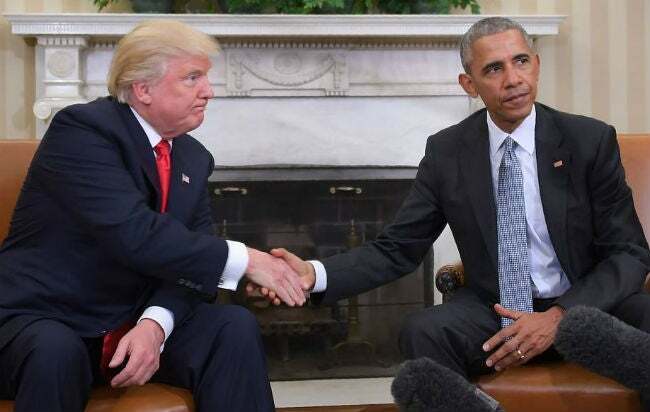 Yes, the Democrats, the media were telling us that actually the presidency was not challenging enough for Obama, that he needed something more, that running America? Yeah, great thing, but it didn’t basically challenge him. Obama could do that in 10 minutes a day, it was so easy. The United Nations might be a little bit bigger challenge, but even that is beneath the real talents of Barack Obama. They told us all of this. But Obama’s not on the global stage and he’s gonna go to Netflix or Apple. 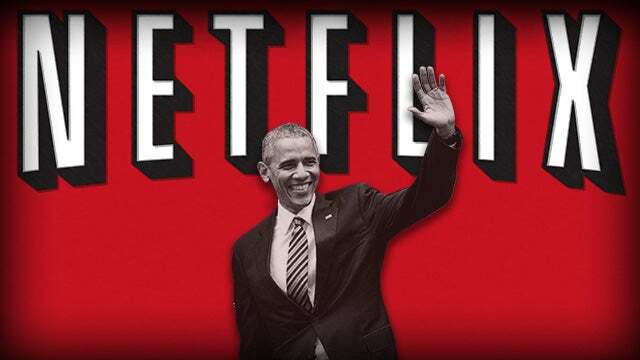 “Under terms of a proposed deal, which is not yet final, Netflix would pay Mr. Obama and his wife, Michelle, for exclusive content that would be available only on [Netflix]. Oh, if only Maya Angelou were still here! Like the school lunch program that drove kids to leave school to go grab something to eat ’cause they hated it so much! “It is unclear how much money the Obamas will be paid, given their lack of experience in the media business,” but it could be really, really big. But then, folks, if you read past all of that and you get down to the end of the story, let me read a little paragraph. I got time here. Obama “has seethed,” meaning he’s really ticked off, folks. Obama “has seethed privately and publicly, about what he says is the manipulation of news by conservative outlets and the fractured delivery of information in the internet age.” That’s the nub of it right there. Obama is tired and fed up of the truth being told about his legacy and his presidency — by me. Conservative outlets? What do you mean, conservative outlets? We know what he’s talking about here. We’re living rent free in the guy’s head! He’s still, even after being out of office for a year and a half, can’t get over it. Just like Bill Clinton before him. Just Hillary Clinton before her and after her. It’s amazing. Obama’s legacy’s not surviving. It’s crumbling. It’s falling apart. He’s got to do something to put it back together, because conservative outlets are telling the truth about it. RUSH: Okay. There’s one more here, folks. It’s CNN. It’s from 10 o’clock this morning. He’s the headline: “Obama’s Legacy: He Sparked Hope — and Got Blindsided.” Sparks hope? Oh, yeah, there was all kinds of hope. For what? Hope and change. Economic stagnation. Labor force participation right shrinking. Health care being blown to smithereens and ruined. Giving nuclear arms to Iran! The list goes on and on, and he got blindsided? Blindsided? What does that mean? Who blindsided Obama? How the hell did…? “During his first year in office, as Republicans spoke about incessant obstruction and refused to join him on legislation…” Oh, he got blindsided ’cause the Republicans didn’t help? In the first two years, Obama didn’t need Republicans. The Republicans didn’t have any votes to stop Obama. They could have controlled guns, they could have done away with the Second Amendment, anything they wanted in the first two years. Does this thing also, Mr. Snerdley, get down to blaming conservatives for Obama’s plight? (interruption) Ahhhh! This is the key. So he “sparked hope — but got blindsided” by the Tea Party. Yeah, 2010, the Tea Party. Nobody saw it coming. Obama blindsided? He had the whole media apparatus as the state-functioning media, and he got blindsided? Blindsided? Obama was warning everybody two weeks into his administration in a meeting with congressional leaders. He warned the Republicans to stop listening to me “because that’s not how you get things done in Washington.” Well, how the hell did he get blindsided? I thought he was brilliant. I thought he was five moves ahead of everybody. I thought Obama was so overqualified for this that nobody could have stopped him! Blindsided?